Popcorn! Superheroes! Movies! Friends! 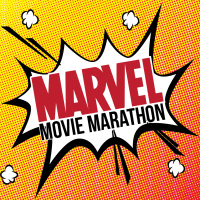 It's a marathon of Marvel movies, so drop in and check it out. Stay for a little or stay for a while, settle in and enjoy the show.